This card is pretty dope. I cant afford to preorder the rxt 2080 ti so this will have to do for me. So far i have only played in 2k and it is great. Tends to run pretty cool and smooth. Not too loud, it is bearable but i will be water cooling it. Great product! best bang for the buck right now! i'm more than happy with this card there isn't much to say a 1080ti speaks for itself,this card doesn't have RGB but I didn't need that what it dose have is a great cooler and solid performance. Fantastic Gaming with this one. 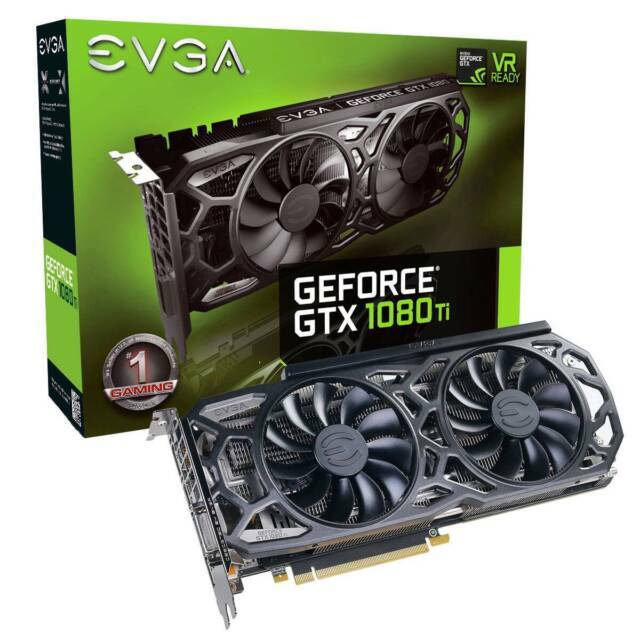 You can't go wrong with this EVGA 1080ti it is a great graphics card, runs my games at 3440 x 1440 in high settings at my monitors 120hz refresh rate. Runs cool and performs very well, but the one I got wasn't a good overclocker.